With one third of all employees assigned to safety-related roles and a ringfenced annual budget of €300 million, APRR intends to make travelling on its network as safe as possible. The APRR network is constantly monitored with the help of 550 video cameras and 380 traffic counting stations. This monitoring system, backed by a fleet of 1,500 monitoring and response vehicles, ensures a rapid response that helps to keep customers safe at all times. The automatic monitoring system receives inputs from traffic counting loops, meteorological stations, cameras and automatic incident detectors. It is implemented using a roadside network of fibre optic cables. Traffic counting loops, located at approximately 20 km intervals, automatically calculate traffic densities, flow rates and the proportion of heavy goods vehicles. All this information is used to evaluate journey times. Meteorological stations sited along the motorway measure changing weather conditions. Where appropriate, these stations send alerts to control rooms, making it possible to take preventive action (such as salting) and to give customers advance warning by radio or using variable-message signs. Cameras installed in sensitive locations help to monitor motorway interchanges and other potentially problematic areas. Automatic incident detectors, mainly installed in tunnels and areas subject to heavy traffic, provide real-time information about congestion, standstills and incidents. To gain a clear understanding of its network, traffic levels and any disruption, the Group uses tools that combine human intervention and automated data inputs from field sensors. This hybrid system can be used to manage scheduled events such as roadworks and maintenance and respond appropriately to unplanned contingencies. It facilitates coordination between partners (police, other managers, etc.) in a particular department or region, or across multiple departments or regions. This system is an essential decision-making tool. At the heart of the traffic management system is a safety control centre that was entirely reconfigured by AREA in 2006. Faster, “smarter” and more user friendly, this centre is equipped with cutting-edge traffic management facilities. Events are managed effectively with the help of a computerised operations support system that automatically prompts operators to perform a series of appropriate actions depending on the type and location of the event, the nearby equipment and facilities, etc. 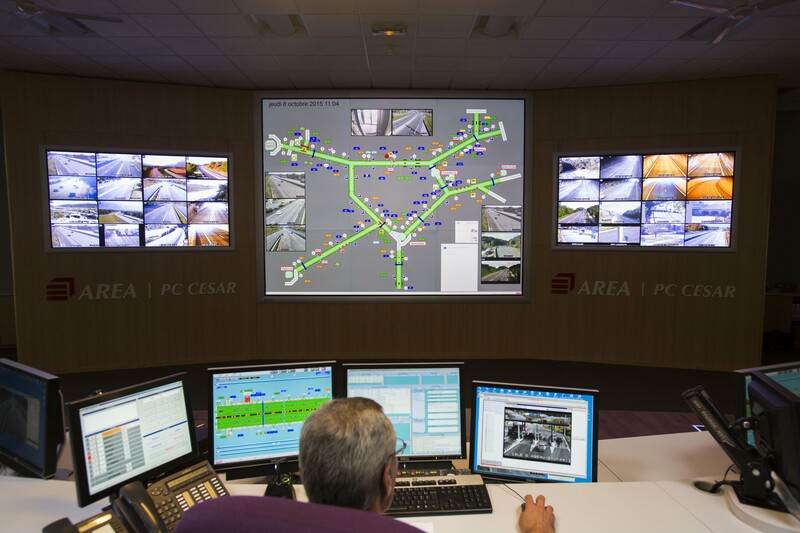 Day in, day out, APRR maintains the network entrusted to it by the French State until 2035 (APRR) and 2036 (AREA), to ensure that customers enjoy the best possible driving conditions. Road improvements, lighting and road surface replacement works are a few examples of the action taken to enhance motorists’ comfort and safety. APRR is also testing and installing new systems: dynamic speed limits, wrong-way driving detectors, concrete safety barriers to prevent vehicles from crossing the central reservation, signalling improvements where appropriate, etc. Such initiatives involve teams from across the Group, both in the field and in support services. In an effort to cut accidents, APRR is aiming to decrease the number of wrong-way driving incidents (of which there are more than 400 per year). 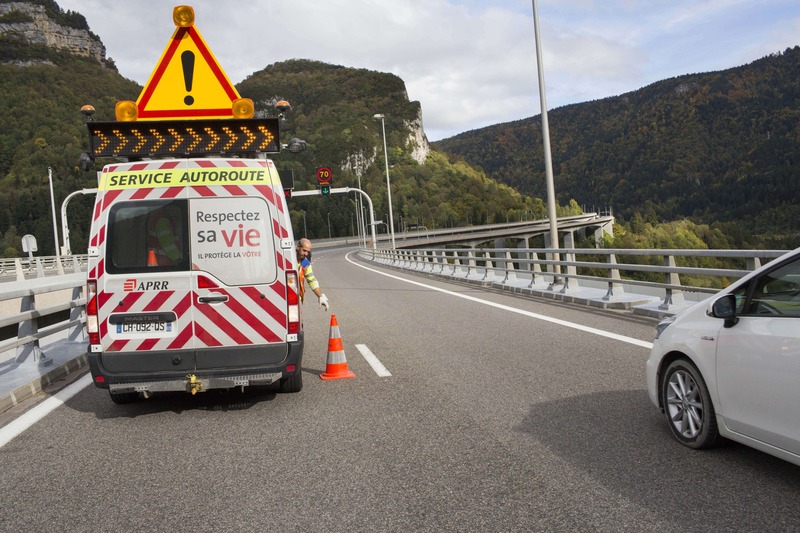 Since January 2014 on the AREA network, a system to detect wrong-way drivers is being trialled on a section of the A48 motorway upstream of the Voreppe toll barrier (in the Grenoble-to-Lyon direction). Other cutting-edge technologies are also being tested, including Doppler radar, which is used to measure radial speed, and thermal cameras. In the event of a breakdown, the "SOS Autoroute" mobile app serves as an onboard emergency roadside telephone, installed on the driver’s smartphone. This app is helping to enhance safety. Geolocation technology is used to instantly send the vehicle’s details to emergency responders with no need for passengers to exit the vehicle and walk to a telephone. APRR is committed to raising customer awareness of safety issues. On the company’s website www.aprr.fr, they can test their driving knowledge, learn "Better driving in five clicks" and overcome common misconceptions regarding motorway safety. APRR also organises events to inform motorists and raise awareness about the most common causes of accidents: driver fatigue, incorrectly inflated tyres, speeding, not wearing a seatbelt, etc. 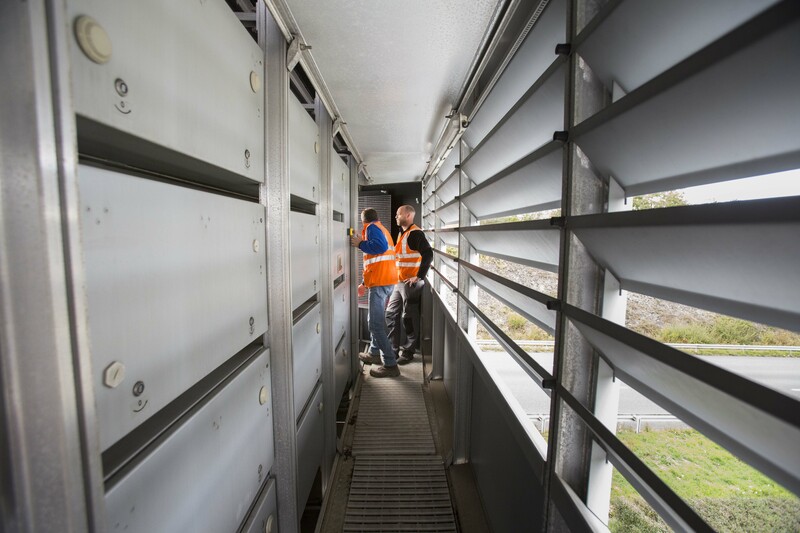 To encourage motorists to take longer and more frequent breaks, but also to combat driver fatigue, APRR is creating resting rooms at its areas and partnering with hotels. Away from the network itself, the head offices, district offices and operation centres of APRR Group companies also organise safety-themed events for groups of visitors from schools, local authorities and businesses. Centaure centres provide training and raise awareness about driving hazards. These centres, located throughout the French network, are run jointly by the motorway companies and the insurance provider Groupama. They simulate hazardous situations in a safe environment, raising visitors’ awareness of risks relating to aquaplaning, impacts, tyre blowouts, loss of control, etc.